08.31.13 Beginning of the resort close down – 26 days till we depart! For the first time that I can remember I will be working on Sunday afternoon and I worked on Labor Day. We still get Sunday mornings off so we can attend church and we will have Tuesdays and Wednesdays off. The only morning that we work is Friday! That means lots of sleeping late and feeling sort of retired. In 26 days we will be pulling out of here and headed south for more adventures. We’ve had hot summer temperatures the last two weeks but now we’re back to calm 70s and 60s for a while and today’s high is 58 so I’m thinking the quickie Minnesota summer is over! 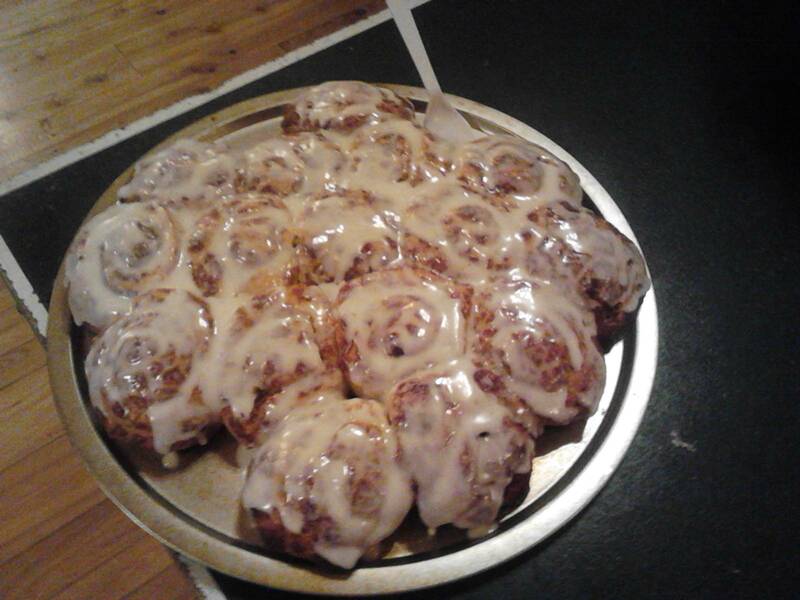 Our managers baked delicious cinnamon rolls for our breakfast on our last big Saturday. They have done this before and we all really appreciate them filing up our little bellies before sending us our to conquer the resort! One thing I really like about working here is that our home is within walking distance from the job. If I’m hungry or forgot to do something at home or don’t feel well and need medicine I can just go to the house and can be back to work within 5 minutes. I’m working right now as a matter of fact when I wrote this part on Saturday). I brought home a big container of sloppy joes to microwave it for our last Meet and Greet night. 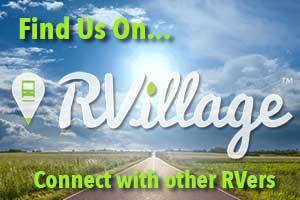 While I’m waiting for it to heat I got some blogging time in! 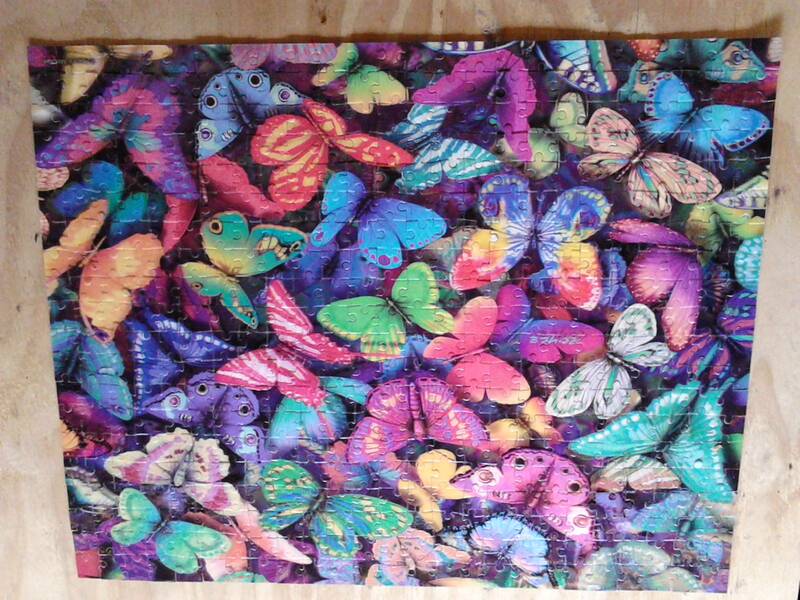 My 3D butterfly puzzle is complete and is now crumbled up, put back in the box and returned to the cabin it came from. I picked up some others to work on as time permits! Stormy evening on the lake. There are many signs around here that the resort close down has begun. 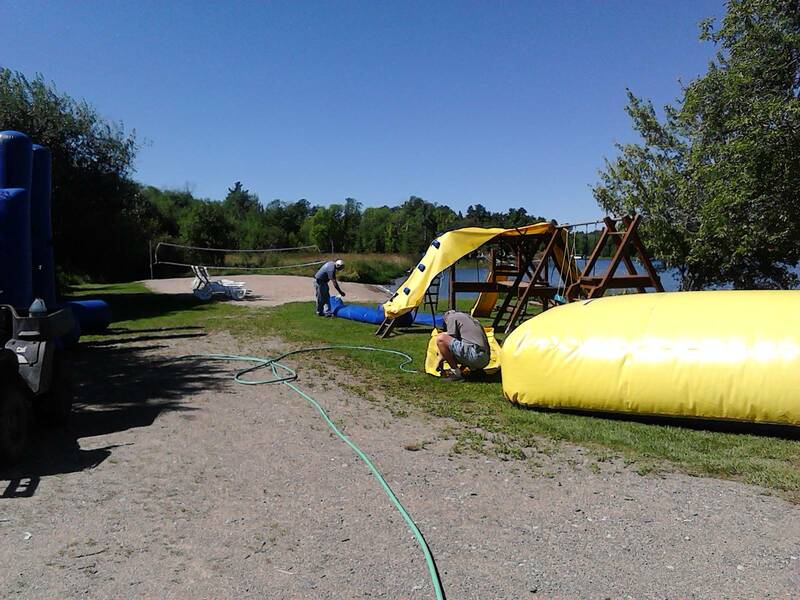 The big horse riding water toys have been removed from the water. 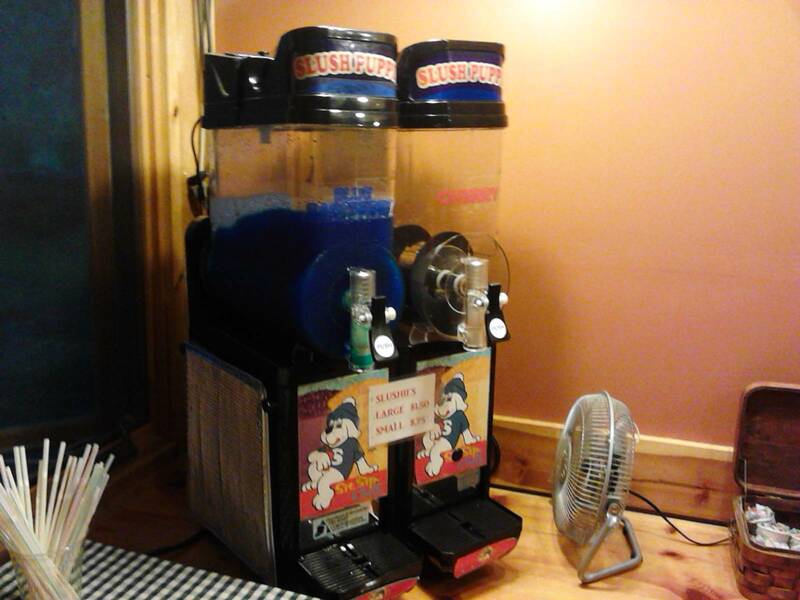 The slushie machine is emptied and turned off. No more dozens and dozens of little children running in and out all day drinking the slushies before it was turned off. The decks in empty cabins have been pressure washed and are ready for stain. The RAVE is coming down as soon as the weather calms down(it stormed and hailed Saturday and Sunday it was really cold and high winds). I’ve really enjoyed watching children and adults play on those things, especially the screams of excitement when they are launched off the water tower high into the air then splashing in the water. I never did venture out there this summer after I learned there are leaches in the water and they would probably get all over me. I decided to just enjoy watching everyone else. 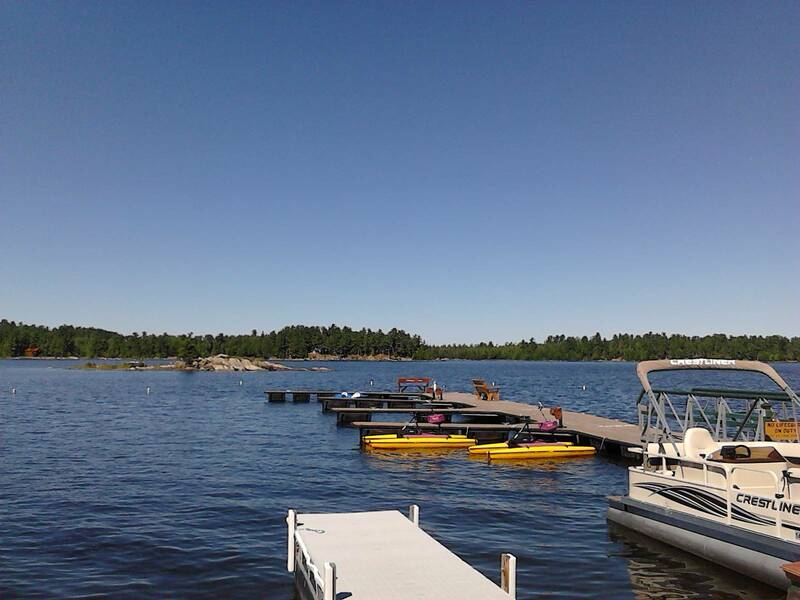 By the time I finished writing this the RAVE is out of the water being packed up for the winter which will arrive here in Minnesota in just a few days. Roy and Rick cleaning the RAVE on land after it came out of the water. The slushie machine half closed down and now totally closed down. The view of the lake with no RAVE out there! Roy and I went to Itasca State Park to see the Mississippi Headwaters yesterday and I’ll write about that our next visit! Ya’ll come back now, ya’ hear! NO !!!! THE SLUSHIE MACHINE IS SHUT DOWN!!!!! Looks like some of the less fun work begins now. We almost had a party when it was shut down. It’s noisy, took constant care and while it was on kids ran in and out getting them all day!